To view the complete results please click here. Please click here to view the results from the weekend. Thank you to all of the volunteers who dedicated their time throughout the weekend! Without you this event would not be possible! Erin Morgan, Robert Edward, Zeljko Kelemen, Darren Elcock, and Tarek Elmayergi. Congratulations on all of our athletes that represented Judo Alberta at the recent 2013 Judo Canada National Championships in Richmond, BC! Team Alberta had another banner championships, achieving 32 medals! You can view the complete results on the Judo Canada website here. Results for Alberta athletes that competed in the recent 2013 Ontario Open can be found here. See the complete competition results here. Congratulations to all athletes and coaches that participated in the 2013 Judo Alberta Provincial Judo Championships, it was great to see such a wonderful turnout! A special thank you to the Lethbridge Kyodokan Judo Club for hosting the tournament! Please see the tournament results here. You can find the complete tournament results here. See results from our top Alberta performers here. Please see the 2012 Red Deer Tournament results here. Please see the 2012 U of A Tournament Results here. Congratulations to all of the Judo Alberta athletes that participated in the recent 2012 Quebec Open. Results of our Alberta athletes can be found here. For complete tournament results, please see the Judo Quebec website here. Please see the most recent season point totals for Judo Alberta athletes here. See the complete tournament results here. Please see the complete tournament results here. See the tournament results here. See the complete kata results here. Congratulations to all athletes and coaches that participated in the 2012 Judo Alberta Provincial Judo Championships, it was great to see such a wonderful turnout! A special thank you to Tolide Judo Kwai for hosting the tournament! Please see the tournament results here. See the complete results of the 2011 Senda Cup here. See the complete results of the 2011 Red Deer Open here. See the complete results from the 2011 U of A Invitational Tournament here. Congratulations to all athletes that participated in the 2011 Rocky Mountain Invitational Judo Tournament that took place on Saturday April 30. Complete tournament results can be found here. Judo Alberta would like to congratulate Chantelle Hill and Colton Hall of Tolide Judo Kwai as the recipients of this year’s Tom Greenway Memorial Scholarship. Congratulations! The 2010 Junior Nationals results are in! Overall, Team Alberta placed 4th as a province. World Cup Samoa Results – Three gold medals for Canada. Click here to view the results from this tournament. Click here for updates as they come in from Judo Canada. Below is a summary of results from the Junior Pan-American Championships. Congratulations to the following athletes who each placed second at Rendezvous in Montreal: Robert Edward (90 Kilos), Laurie Wiltshire (52 Kilos), Serge Zamotine (66 Kilos), Scott Edward (100 Kilos). Congratulations to Jennifer Parker and Raquel Austin who won a Silver medal in Ju No Kata! Read the article. Click here to view results from the Junior Nationals. Click here to view results from the 2008 Kata World Cup Paris. Click here to view results from the 2008 Hatashita tournament. Click here to view results from the 2008 U of A tournament. Click here to view results from the 2008 Senda Cup tournament. *1st and 2nd place went to the female competitors which means Gord & Kelly were actually first in the men’s division. This ‘could’ make them eligible to attend the Pan Am Games in 2009. This will be confirmed with Judo Canada. Click here to view results from the 2008 Katsuta Kup tournament. Click here to view additional results from the 2008 Winter Games. Click here to view the results from the 2008 Winter Games, Zones 1, 2, 3, and 4. Click here to view the results from the 2008 Winter Games, Zones 5, 6, 7, and 8. Judo Alberta athletes faired well at the 31st International Quebec Open in Montreal October 6 & 7. There were 328 competitors on the first day; 282 on the second. 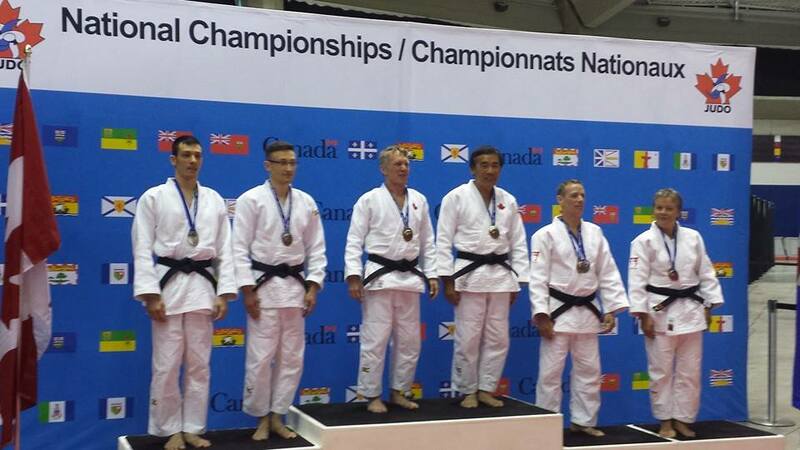 Keith Morgan (Ishi Yama Judo Club-Calgary) won a Silver medal at the Pan Am Games in Rio de Janeiro Friday, July 20th. “It was a pretty good day and I was happy with how I fought”, Morgan said. “I had a ‘kind’ draw and beat Puerto Rico and Dominican Republic both by ippon on my way to the final”. Morgan, who fought a tough fight with a Cuban in the final match, lost by a koka in the last 3 seconds before going to overtime. While Morgan must hold the number one position in Canada to attend the next Olympic games, the Silver medal division adds to his chances of accomplishing that that goal. Congratulations to Justin Schmaltz (-90kg) on winning Silver and Stefane Truong (-66) on winning Bronze this past weekend in Fort Lauderdale, Florida.